Laghdú translates as a lessening, a decrease, a reduction. 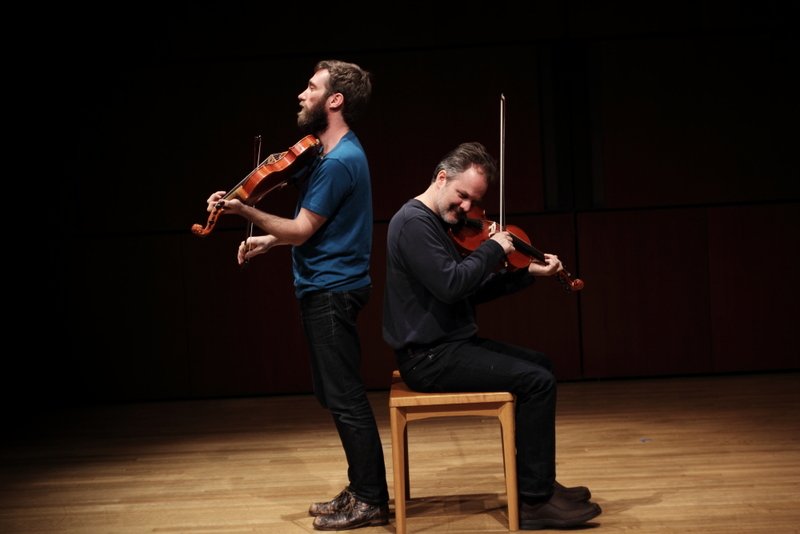 This musical interaction between fiddlers Caoimhín Ó Raghallaigh and Dan Trueman, stretches and abstracts the DNA of Norwegian and Irish fiddling; the result is something new, sparse and stunning. It ranges from the near-silent to the nigh-on orchestral, at times exploding joyously from their hybrid 10-string fiddles, at times barely there, holding time still. Utterly unique, this is music of an exceptional and unusual beauty. Don't miss this inspiring musical encounter that treads the line between tradition and innovation. 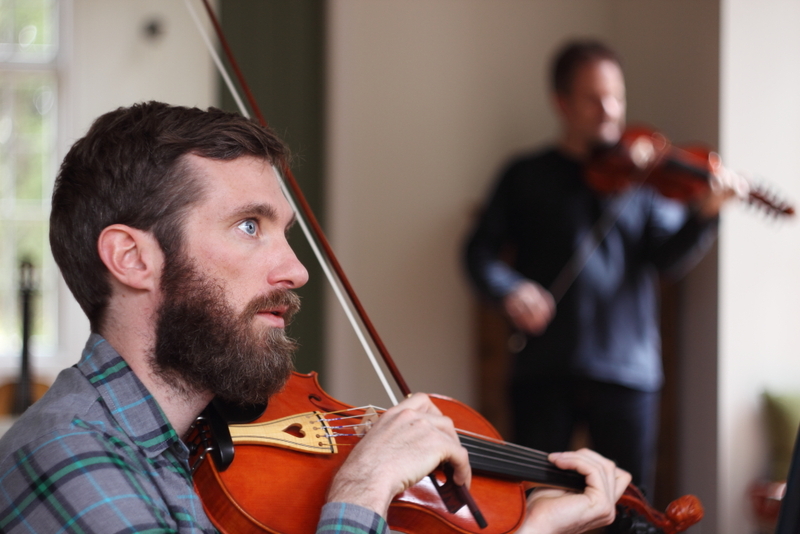 Caoimhín Ó Raghallaigh plays traditional and contemporary folk music on Hardanger d'Amore and other fiddles. In addition to being an established solo artist, he performs duos with dynamic Kerry accordion player Brendan Begley and Dublin uilleann piper Mick O’Brien and is a member of two groups: The Gloaming and This Is How We Fly. He has released ten CDs to date, including the debut album from The Gloaming, which reached #1 in the Irish music charts. He has performed far and wide, from New York’s Lincoln Center, to London’s Royal Albert Hall, and upcoming at the Sydney Opera House. As well his work in traditional Irish music, Caoimhín writes new material that explores the region where traditional music begins to disintegrate. 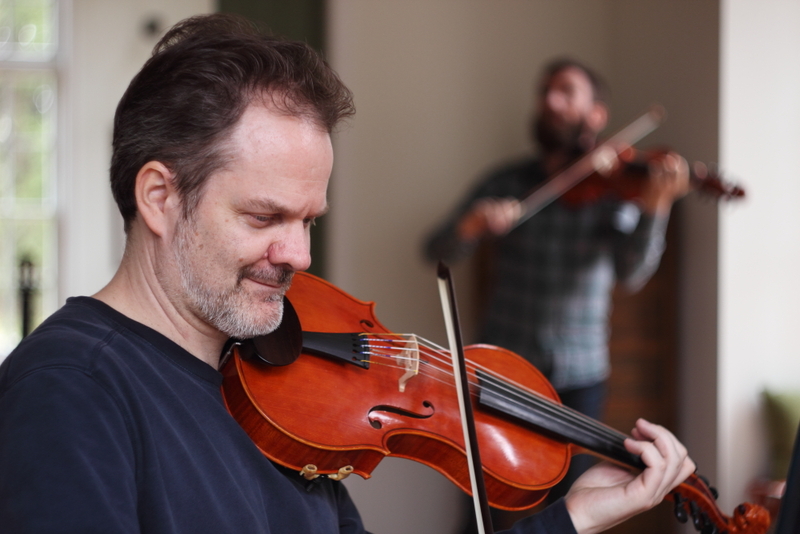 Dan Trueman is a composer, fiddler, and electronic musician. He began studying violin at the age of 4, and decades later, after a chance encounter, fell in love with the Norwegian Hardanger fiddle, an instrument and tradition that has deeply affected all of his work, whether as a fiddler, a composer, or musical explorer. Dan has worked with many groups and musicians, including Trollstilt and QQQ, the American Composers Orchestra, So Percussion, the RTÉ Concert Orchestra, the Brentano and Daedelus string quartets, the Crash Ensemble, many wonderful fiddlers, and has performed across America, Ireland, and Norway. Dan's work has been recognized by fellowships and grants from the Guggenheim and MacArthur Foundations, among others. He is Professor of Music at Princeton University, where he teaches counterpoint, electronic music, and composition. Dan Trueman is the Christopher U. Light Lecturer for 2015-16. A review of his recent work can be found here. Visit Dan Trueman's website here. Caoimhín Ó Raghallaigh is the Woodward Guest Artist for 2015-16. Visit Caoimhín Ó Raghallaigh's website here.